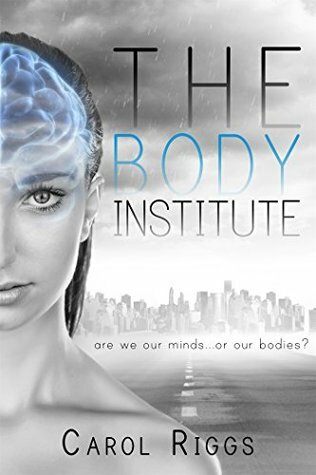 Are we our minds… or our bodies? Usually when I read a book I have to try to like it and it often fails. This book however was much different. I didn't want to like it because I didn't like how much emphasize this world put on weight. It felt more like fat shaming people which I don't like and because of that I really did not want to like it. But no matter how hard I wanted to hate this book I just couldn't, it was too good. As for a sci-fi I'm not sure how much I liked it because I did just read an amazing sci-fi book but I liked the story. I didn't feel like it was much of a romance either so truthfully I don't know why I liked it. Maybe it's because of how much I liked Morgan's character. I thought she was tough and was good at asking questions that got her in trouble in the end. Plus who the hell would sign up to help people lose weight the way that she did? I hate dieting and working out like most everyone else does so there is noway I would be a reducer. I think the concept of losing weight the way they did in this book was interesting but I wouldn't like it. Though I guess I would like it better than paying a tax for being overweight. Can something like this never happen, please? I thought Riggs did a great job creating this futuristic world that I would never want to live in. Vonn (superguy) was a good guy for Morgan and I loved that they fell for each other while they were in their loaner bodies. That made it that much better you know until they got stuck in those bodies. I would have been devastated to never get my body back. When the WHA blew up the institute destroying all of the reducer's bodies leaving them in their loaner bodies forever was when the book finally got good. Before that happened it was really repetitive. Mogan woke up, worked out, met up with Vonn and worked out more, ate, went to sleep, rinse and repeat. So when that happened I was like "finally some real action." I liked the ending and there were some things that happened that I didn't see coming and some that I did. Though I thought this book was good I do not think a lot of people will like it. Like I said earlier I don't even know why I like it myself so I cannot recommend it because I don't know who would like it. It's supposed to be a romance, sci-fi, dystopian, young adult book so if any of those books call out to you maybe you'll like it.